I was given the great pleasure of choosing a winner for this month's Blogger's Pillow Party going on over at Stitched in Color. Remember this post? With more than 75 entries I am grateful that it was Rachel's job to narrow down all of the wonderful entries to just 9. Still, it was not an easy decision to make. 1. Bright and airy in Central Park by The Petting Zoo. 7. "Party Napkin" in Solids by you know what i love? Congratulations to Arajane from You Know What I Love? Congratulations Arajane - Rachel will contact you shortly. Rachel from Stitched in Color will be choosing the winner of the participation prize ~ the two patchwork pillows as previously posted on my blog ~ be sure to look out for Rachel's blog post. Entry for the Blogger's Pillow Party for March is now open and the guest judge is the lovely Aneela from Comfort Stitching. Good luck! Thanks for judging, Rita. I would not have wanted that job. 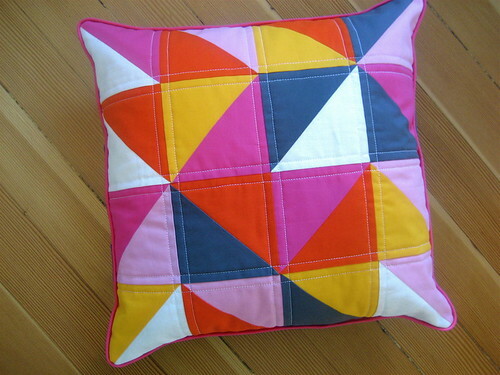 Lovely pillow that you chose and the quilt is going to be amazing as well. oh wow! i am super honored and super flattered that my pillow was picked by you, rita! there were some amazing pillows this month so i'm especially tickled that mine stood out to you. thank you thank you thank you!! What beautiful works of art. 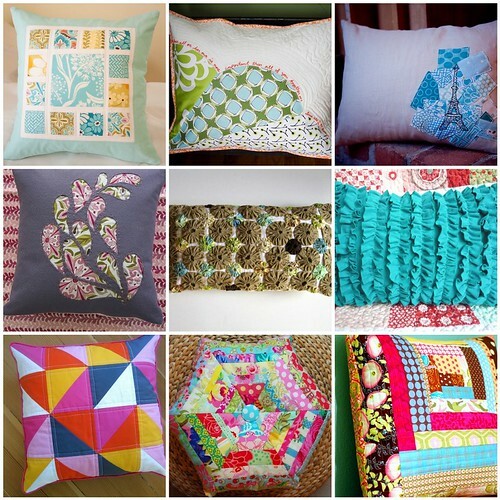 What a fabulous collection of pillows! I don't envy your job of having to pick just one but I think you got it right! Thanks, Rita! LOVE that pillow. Nutterbug - yes, anyone with a blog can enter. I hope you will! Hooray for AraJane! It is such a lovely pillow. Best wishes. Those pillows are super inspiring! 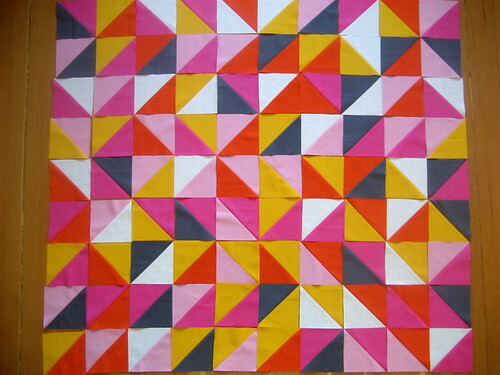 I think my favorite is A Rainbow Hexagon, but they are all incredibly lovely. I would agree. Choosing the top 9 would be a tough one. There were sooo many great pillows. Looking forward to seeing this month's.